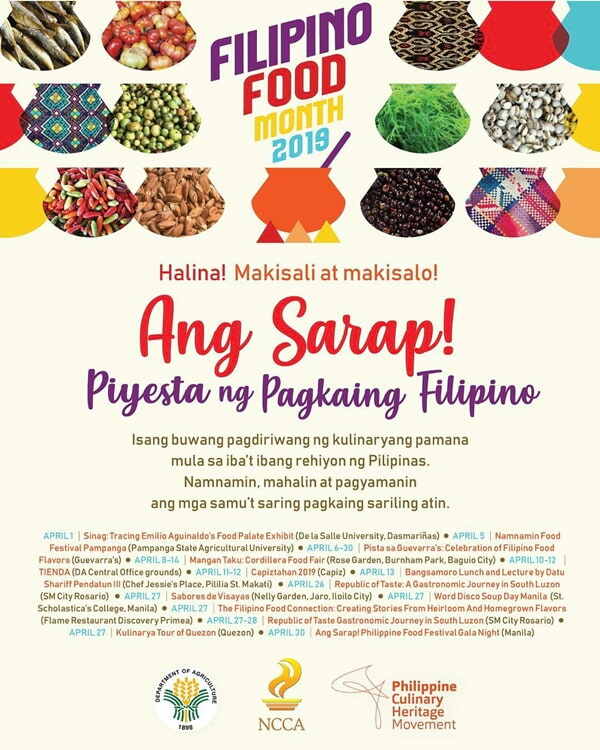 After being declared as the National Filipino Food Month last year, this April will be its first celebration made possible by the coordination between the Philippine Culinary Heritage Movement (PCHM), National Commission of the Culture and the Arts (NCCA), and the Department of Agriculture. With the theme “Ang Sarap! 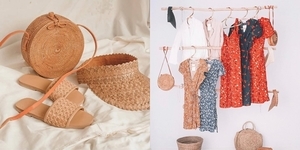 Piyesta ng Pagkaing Filipino”, a series of events has already been lined up the whole month set to happen in the different parts of the country. PCHM President and Chef Jam Melchor, had shared on his Facebook account an infograph for the upcoming activities. 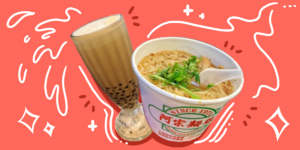 For the local foodies of our very own dishes, this month is sure to be a blast! 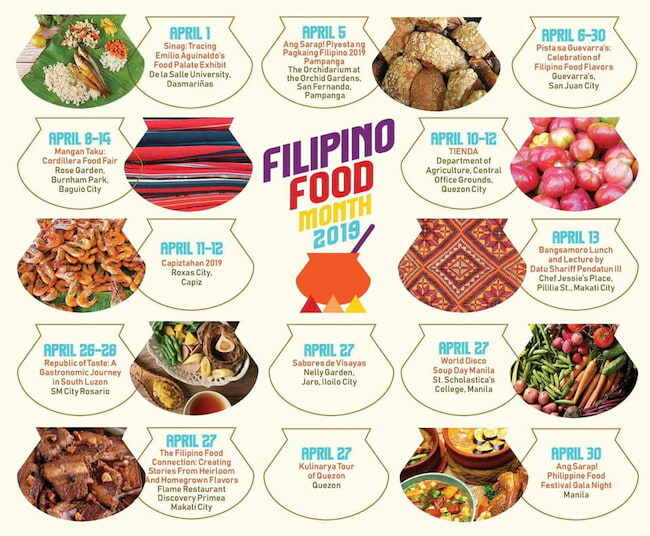 Witness the pyesta unfold this month and take pride with the Filipino dishes that have become part of our cultural heritage! 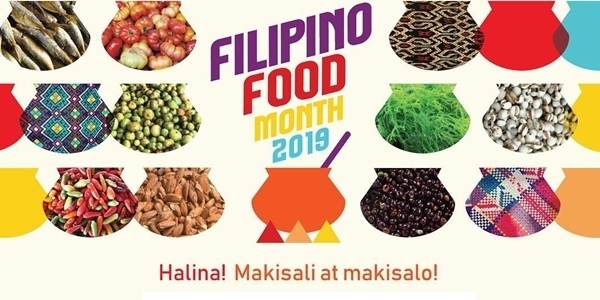 For more information, visit the Philippine Culinary Heritage Movement Facebook page.